The settings for the graphic display can be selected on the sound system or MMI. 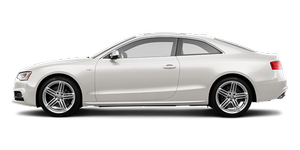 – Select: Function selector button CAR > Audi parking system > Display. If you have selected Graphic in the settings, the screen, will automatically show the graphic display when the parking system is activated. If you change the settings on the sound system or MMI, the changes will not take effect until the next time you switch on the parking system.